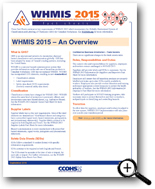 Raising awareness about WHMIS 2015. 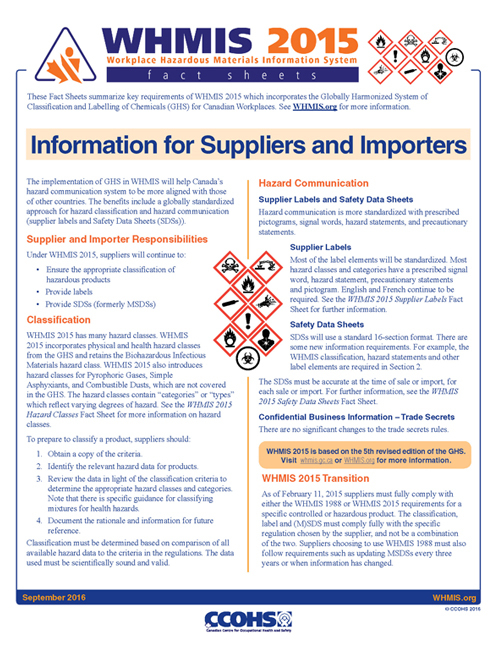 CCOHS has worked in partnership with the Workplace Hazardous Materials Bureau of Health Canada to develop this series of WHMIS 2015 Fact Sheets. 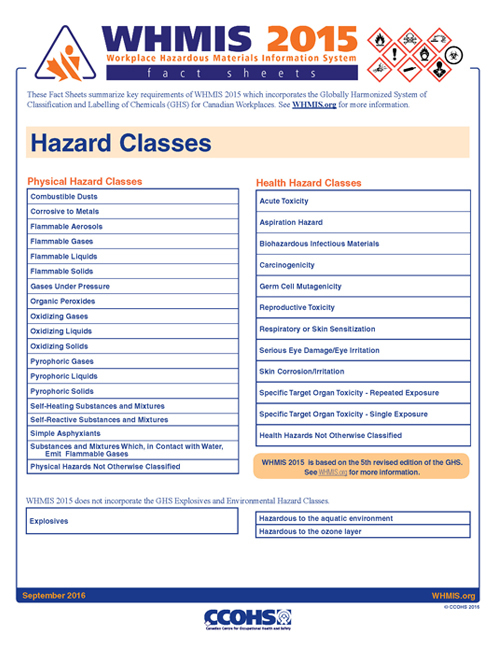 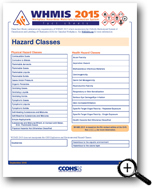 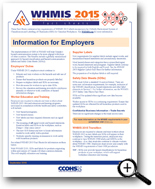 These information sheets are a part of CCOHS' free WHMIS 2015 e-courses. 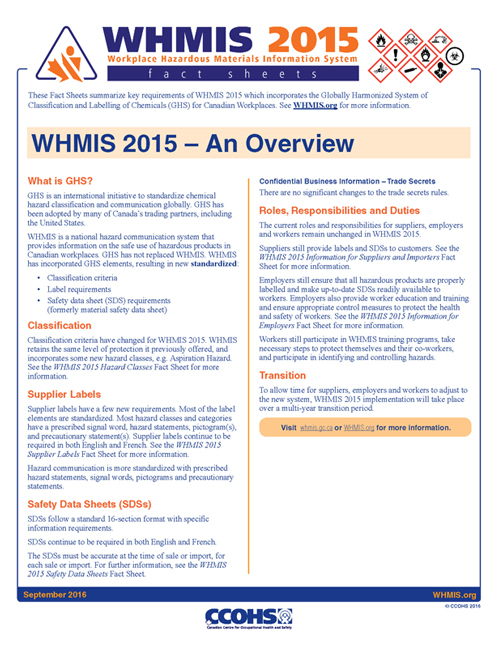 The modified WHMIS is referred to as WHMIS 2015. 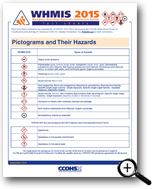 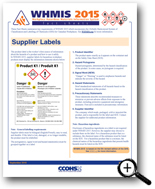 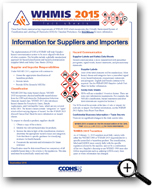 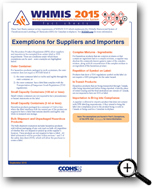 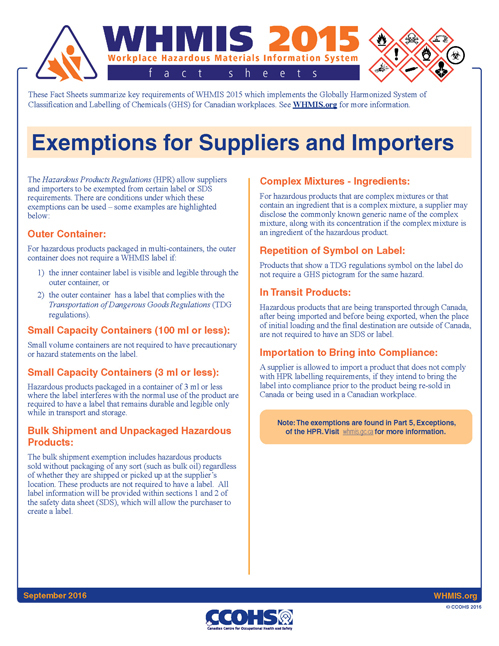 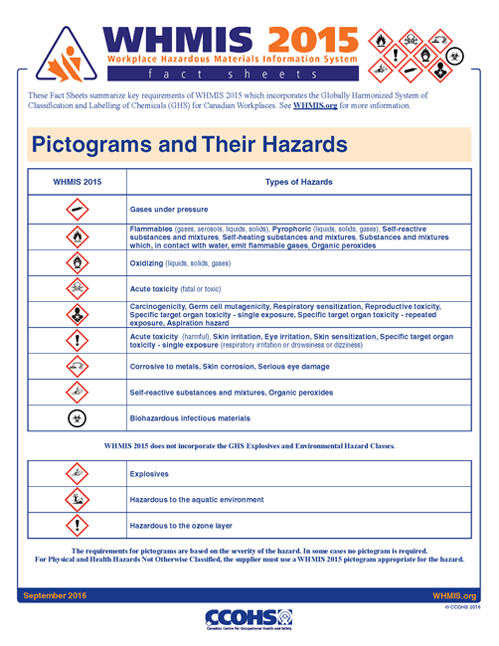 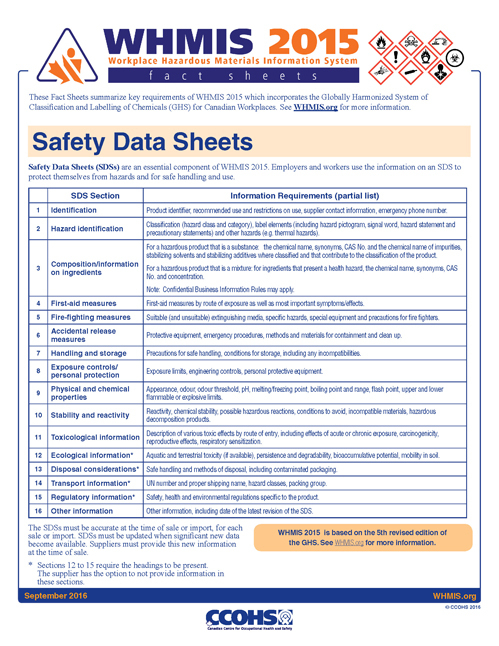 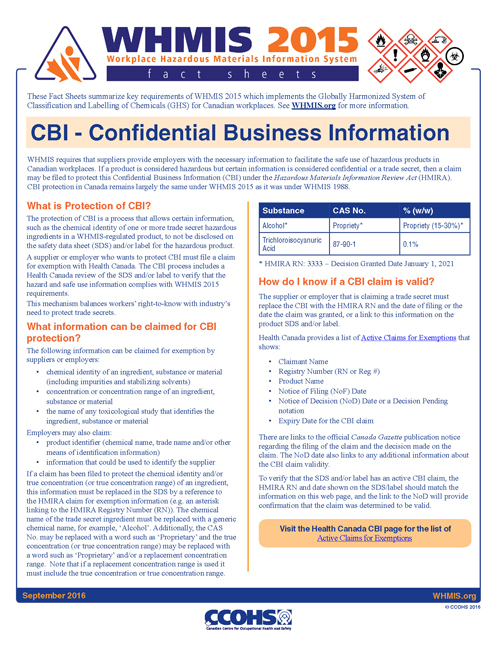 These fact sheets promote awareness about WHMIS 2015, and include an Overview; Information for Suppliers and Importers; Information for Employers; Pictograms and Their Hazards; Hazard Classes; Supplier Labels; Safety Data Sheets; Variances; Exemptions for Suppliers and Employers; and CBI - Confidential Business Information. 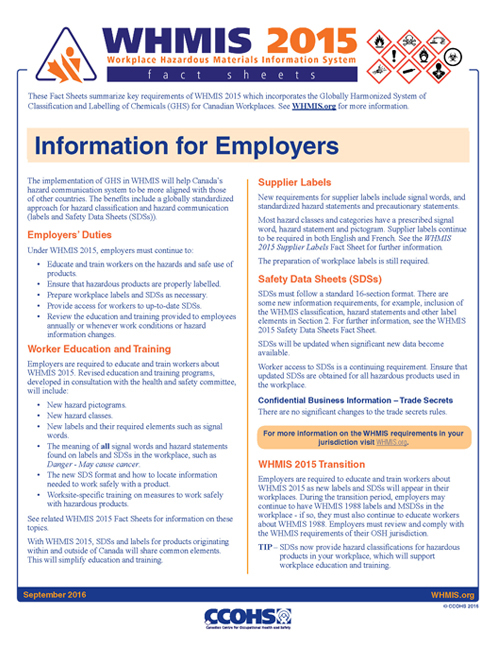 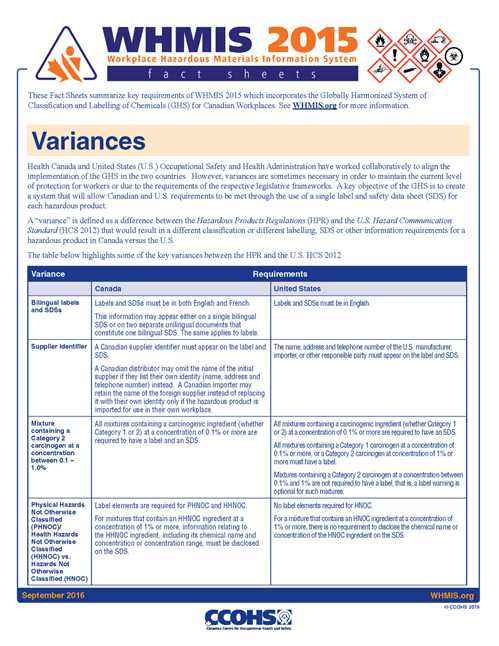 All WHMIS After GHS Fact Sheets are available in both English and French. 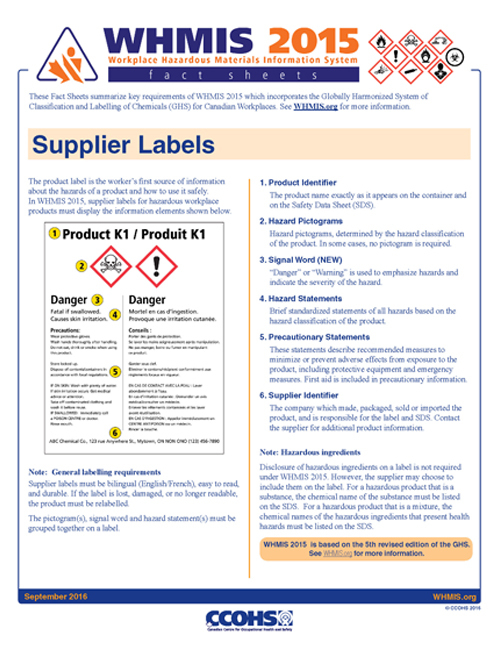 These WHMIS 2015 Fact Sheets were developed to raise awareness about the changes that have occurred with the modification of WHMIS to implement the GHS for workplace chemicals. 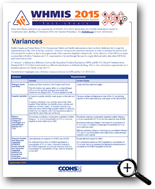 Preview a larger version of the individual fact sheets by clicking on the thumbnail images below. 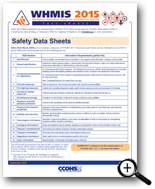 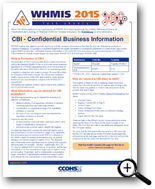 Click on the Download button at the top of the page to obtain all the Fact Sheets in PDF format.